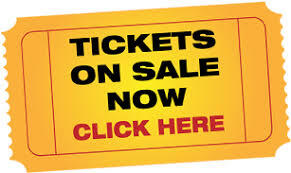 Join the Tunnel Rats Band to help support our Veterans! 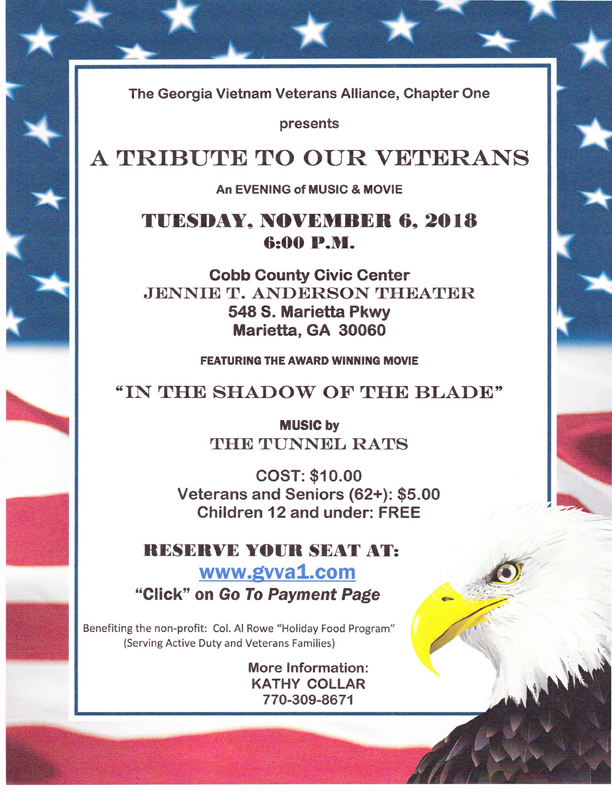 The Tunnel Rats will be performing at the Jennie T. Anderson Theater for the GVVA Fundraiser: A Music and Movie Tribute to our Veterans – See the details below. The Tunnel Rats will be playing at Academy Sports at Barrett Crossing in Kennesaw from 4:00pm to 5:00pm for a Veteran’s Appreciation Event. This is a free event so y’all come see us! The Tunnel Rats enjoyed performing at the North Cobb Senior Services Fair! We played from 10:00am to 1:30pm right out front. What a terrific facility, amazing staff, and super volunteers! 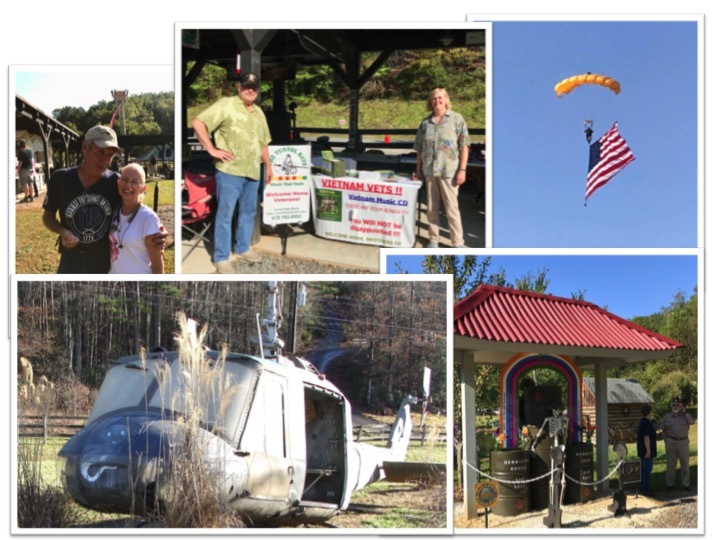 The Tunnel Rats returned to the Band of Brothers Veterans Park in Murphy, NC, to perform from 12:45 to 1:45 for the 3rd Annual Veterans Appreciation & Education Day hosted by the Cherokee County (NC) School System and Sheriff’s Department. If you are ever in the area, you want to visit this amazing Veterans Park. 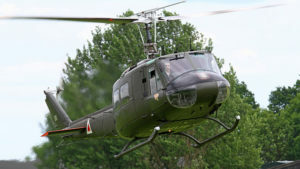 To provide quality services and support, based upon the concepts of self-esteem and self improvement, to Vietnam veterans throughout the State of Georgia that will enhance and enrich their lives and the lives of their families. 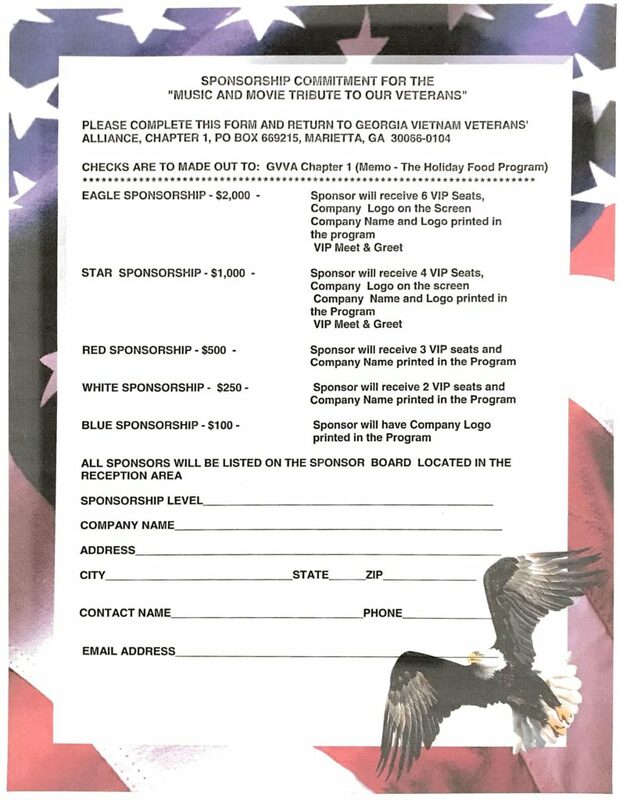 The Georgia Vietnam Veterans Alliance Chapter One, Marietta GA, raises money each year to fund the Colonel Al Rowe Memorial Holiday Food Program. 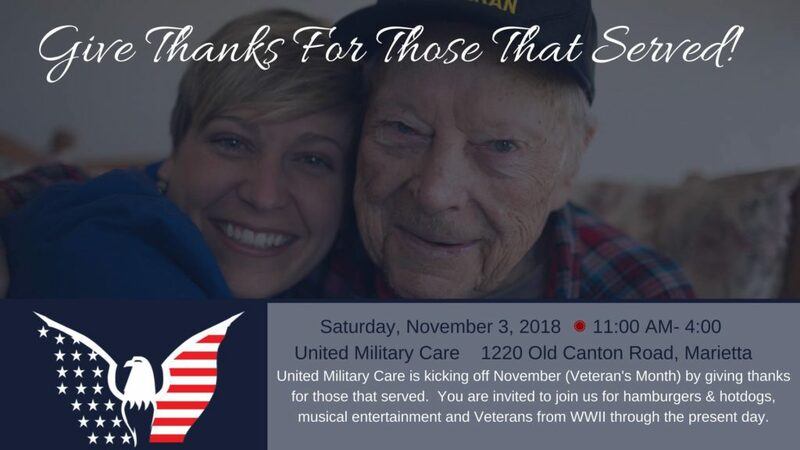 For over 12 years, this program has served over 3,500 Active Duty, Guardsman, Veterans’ families, disabled Veterans and their widows, with utilities and living expenses. 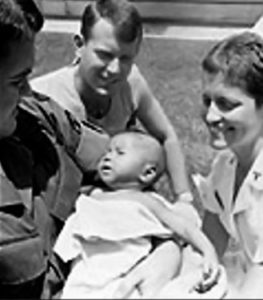 In 2006 at the beginning of the war of Iraqi Freedom, Colonel Al Rowe, GVVA Chapter One president, 2001-2006, and the GVVA board recognized an urgent need of active duty military families. Lower ranking military personnel were struggling with minimum military pay while serving during the war, leaving some unable to afford a holiday meal for their families at Thanksgiving and Christmas. 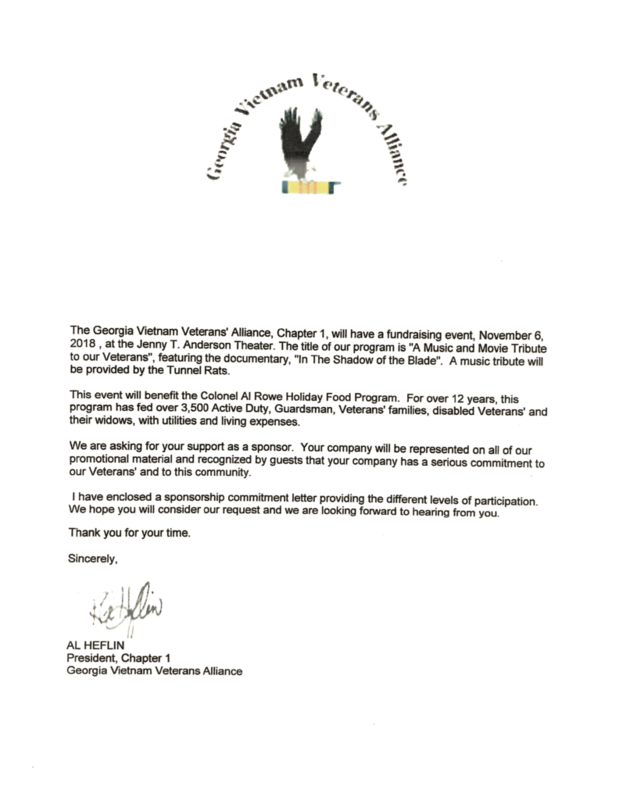 To answer the need the GVVA Chapter 1 established the Holiday Food Program. As the GVVA became more involved they realized the need spread into the vast veteran community in Cobb County and beyond.The Holiday Food Program is now directed in coordination with the Command of Dobbins Air Reserve Base of the U.S. Air Force and the Georgia National Guard to identify the families that need assistance with food during the holidays. Over the past 12 years, the Holiday Food Program has helped feed over 3,000 families who has a member actively serving our nation or state. The Holiday Food Program has also assisted needy veterans with food, utilities, or living expenses. 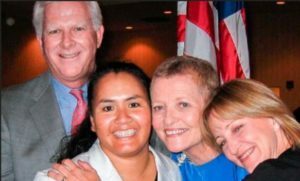 Upon Colonel Al Rowe’s death in 2014, the GVVA Board of Directors renamed the program in his his honor for his dedicated service to the veterans and the military families in our community. 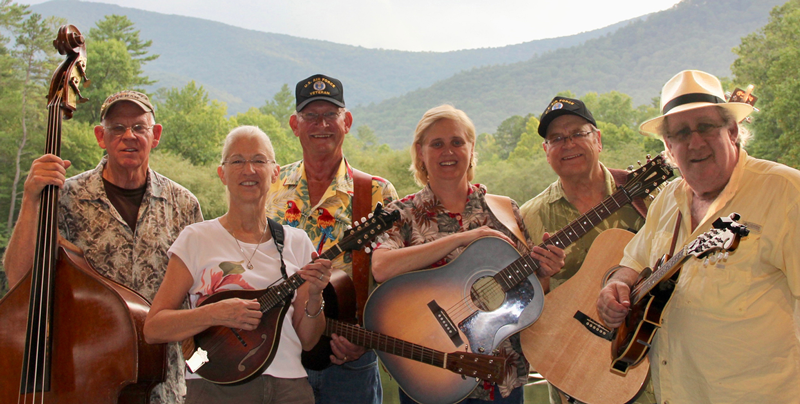 The Tunnel Rats Band performed at the Annual Heritage Festival in Blairsville, GA September 1st, and 2nd. They enjoyed jamming at the Seasons Inn on Friday night, and outside The Hole In The Wall – a local eatery – on Saturday and Sunday. The band took the stage at the Heritage Festival on Sunday morning at 10:00 am. 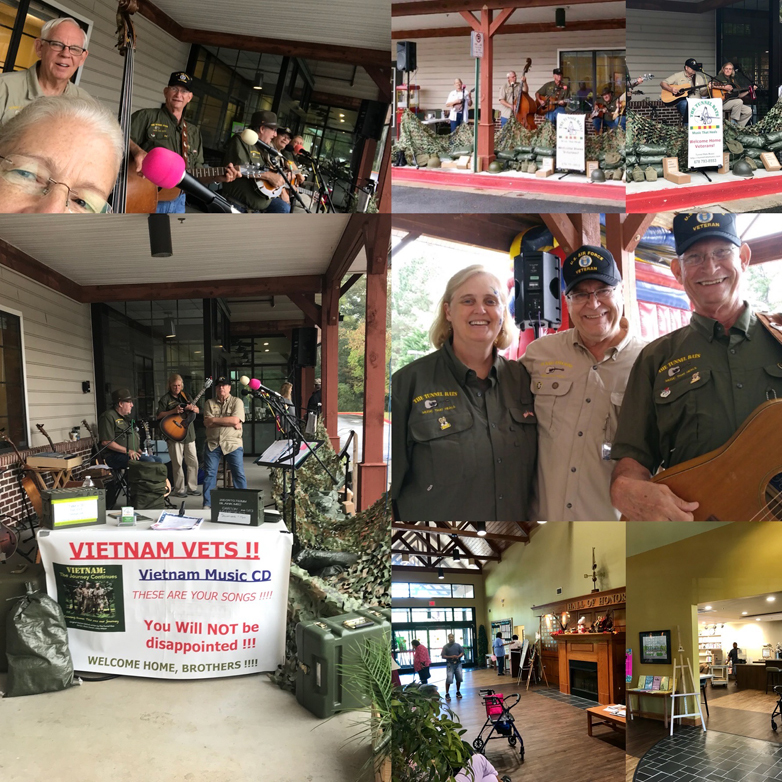 The Tunnel Rats were honored to perform for Vietnam Veterans, their families and friends as the Georgia Department of Veterans Service and Cobb County Commissioner Mike Boyce recognized Vietnam veterans in the Cobb County area. The Tunnel Rats set up outside and played from 12:30pm to 2:00pm. 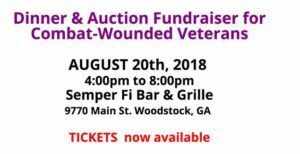 The Tunnel Rats performed at the Purple Heart Cruise Fundraiser on Monday, August 20, 2018, from 4:00pm – 6:00pm at Semper Fi Bar & Grille. 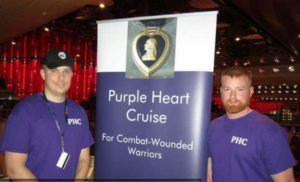 The Purple Heart Cruise is a non-profit organization dedicated to raising funds giving wounded service men and women respite from their long journey through injury and rehabilitation. The cruise invites wounded warriors and their caregivers get away, if just for a week. 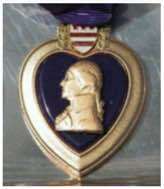 Join us, other veterans, and the community in supporting this worthy cause.